Dr. Kam Kalantar-Zadeh studied medicine at the Universities of Bochum, Bonn and Nuremberg in Germany (MD degree) and also received MPH and PhD degrees in Public Health and Epidemiology from University of California Berkeley. His postgraduate training includes an internship in Nephrology in Nuremberg, residency training in combined Medicine/Pediatrics in State University of New York (SUNY, 1993-97), and nephrology fellowship at University of California San Francisco (UCSF, 1997-2000). He is triple board certified in Internal Medicine, Nephrology and Pediatrics. During 2000-2012 Dr. Kalantar was a full-time faculty at Harbor-UCLA and Professor of Medicine, Pediatrics and Epidemiology at UCLA. 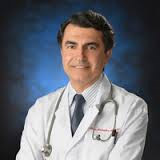 Since 2012 he has served as a tenured Professor and the head of the Division of Nephrology and Hypertension at University of California Irvine, with joint appointments in Pediatrics and Public Health and attending nephrologist at UCI and Long Beach VA Medical Centers. Dr. Kalantar-Zadeh has been recognized by several prestigious top/best physician directories including SUPER DOCTORS™, Best Doctors, and TOP PHYSICIANS™, and has been ranked among top 10 experts in Chronic Kidney Failure by Expertscape™. He serves as the immediate past President of the International Society of Renal Nutrition & Metabolism, President Elect of the International Federation of Kidney Foundations, member of the International Steering Committee of the World Kidney Day, and a council member of the International Society of Nephrology. Dr Kalantar has had numerous NIH grants as PI including currently a K24 mid-career mentoring award, U01 United States Renal Data System award, R01s and R21s, and has served or serves as a standing member of two NIH study sections. He has published over 600 papers indexed in PubMed, authored many chapters and 3 text-books, and presented numerous grand rounds and other lectures in national and international conferences. He has mentored many early career investigators including currently 3 Career Development Awards and an F31 within the UC Irvine. Dr. Kalantar is an Associate Editor or member of the editorial board of over 15 leading peer-reviewed journals. Join us in celebrating Dr. Kalantar! Register now for the ICTS Awards Dinner; space is limited.